Aereo, which has been offline since the Supreme Court ruled against it in June, is now laying off most of its staff. The startup Internet TV service began to notify employees of the layoffs on Thursday, according to a legal filing obtained by news outlets in Boston, where the company has an engineering office. The filing said Aereo would be "shutting down its business operations" in Boston later this month. But Aereo, which also has an office in New York City, is not closing up shop altogether -- at least not yet. "In an effort to reduce costs, we made the difficult decision to lay off some of our staff in Boston and New York," spokeswoman Virginia Lam said in an email. "We are continuing to conserve resources while we chart our path forward." Lam added, "We are grateful to our employees for their loyalty, hard work and dedication. This was a difficult, but necessary step in order to preserve the company." The filing said that 43 employees in Boston would be laid off. Lam declined to say how many would be terminated in New York or elsewhere. 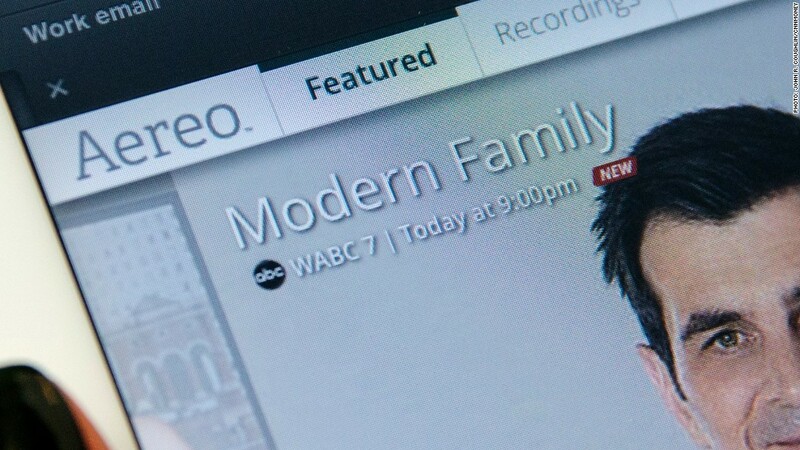 The layoffs will help stem Aereo's mounting monetary losses. Started in 2012, Aereo picked up signals of local television stations via antennas and retransmitted them via the Internet to paying subscribers. In June, the Supreme Court ruled that it was breaking the law, causing the service to be shut down -- or as the CEO put it at the time, "we have decided to pause our operations temporarily as we consult with the court and map out our next steps." Those next steps have not come to fruition. In late October, a federal court in New York rejected another of Aereo's legal arguments and issued a nationwide injunction against it. According to the layoff filing in Boston, that court's ruling "dissuaded" potential new investors from supporting Aereo. "It is now clear," the filing said, "that at this time we are unable to obtain additional funding that would prevent the need to close our operations."